Adam Purinton, 51, allegedly opened fire in an Olathe, Kansas, bar Wednesday, killing 32-year-old Srinivas Kuchibhotla and injuring Alok Madasani, 32, and Ian Grillot, 24, authorities said. A Kansas man charged with killing one and injuring two others in a shooting some are calling a hate crime appeared in court by closed-circuit TV Monday in a brief hearing where he was assigned a public defender. Adam Purinton, 51, a U.S. Navy veteran, allegedly opened fire in an Olathe, Kansas, bar Wednesday, killing 32-year-old Srinivas Kuchibhotla and injuring Alok Madasani, 32, and Ian Grillot, 24, authorities said. He faces one count of premeditated first-degree murder and two counts of attempted premeditated first-degree murder. His court-appointed attorney, Michael McCulloch, declined to comment about the case after the hearing. A bartender at Austins Bar and Grill said Purinton used "racial slurs" before he began shooting, the Associated Press reported. 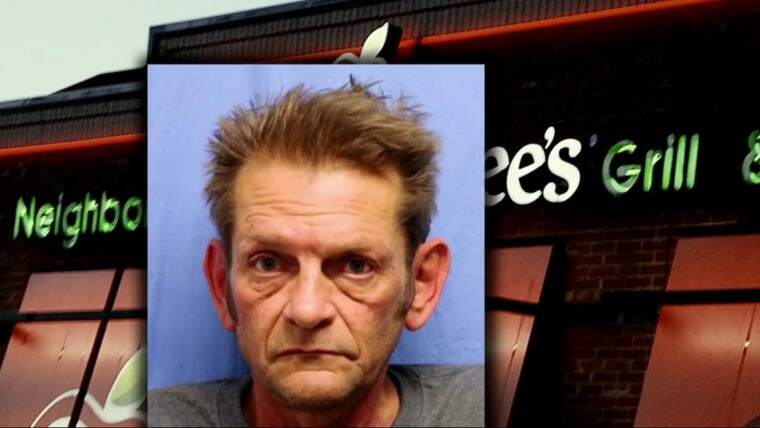 Witnesses also reportedly told the Kansas City Star Purinton yelled "get out of my country" before opening fire. Kuchibhotla and Madasani are both of Indian descent. According to their Linkedin accounts, the men worked as engineers at GPS maker Garmin. Grillot was shot when he tried to subdue Purinton. Purinton was arrested Thursday. Local police were working with the FBI to investigate the case. Federal authorities had not said whether their presence indicated the shooting could be considered a hate crime, the AP reported Thursday. Johnson County District Attorney Stephen M. Howe, whose office is overseeing the prosecution, tweeted Friday that Kansas does not have a hate crime statute. Those charges would have to come in federal court, the tweet said. More than a million dollars has been raised online for the three victims of the shooting and at least one civil rights group is calling for hate crime charges. "Because of the alleged bias motive for this deadly attack, we urge state and federal law enforcement authorities to consider filing hate crime charges in order to send a strong message that violence targeting religious or ethnic minorities will not be tolerated," said Council on American-Islamic Relations Kansas board chair Moussa Elbayoumy in a statement Thursday. But neighbor Andy Berthelsen, who said he lived across the street from Purinton for 15 years, told the AP he never heard Purinton make racist or political remarks. He described Purinton as a drinker who became a “drunken mess” after his father died of pancreatic cancer 18 months ago, the AP reported on Sunday. Berthelsen, according to the AP, also said he believed the shooting was the result of physical and mental deterioration — not hatred. Meanwhile, Madasani and Grillot — the two survivors of the shooting — as well as Sunayana Dumala — Kuchibhotla's widow — have all spoken publicly following the shooting. "He did not deserve a death like this," Dumala said Friday at a news conference organized by her husband's employer, according to the AP. "I don't know what to say. We've read many times in newspapers of some kind of shooting happening somewhere. I was always concerned, 'Are we doing the right thing staying in the U.S. or America?' But he always assured me good things happen in America." Appearing at a vigil on Sunday night , Madasani called the shooting " a senseless crime" and "an isolated incident that doesn't reflect the true spirit of Kansas, the Midwest, and the United States," according to the AP. In an interview from his hospital bed, Grillot, who attempted to subdue Purinton, said he "did what was right to do." Online fundraising efforts for the three men who were shot have netted over $1.1 million as of Sunday night. At least four GoFundMe pages were begun to help pay for medical expenses and Kuchibhotla’s funeral. Some Asian-American civil rights organizations have also spoken out about the shooting, which has grabbed headlines in India. Asian Americans Advancing Justice drew parallels to the 1982 death of Vincent Chin, a Chinese-American engineer beaten in Detroit by two autoworkers. The men allegedly blamed Chin for America’s declining auto industry. "This incident is the latest in a rising tide of hate violence against South Asian, Muslim, Sikh, Hindu, Middle Eastern and Arab communities, electrified by the President's anti-immigrant policies," SAALT executive director Suman Raghunathan said. The White House did not immediately respond to an NBC News email for comment Sunday about the groups’ statements or the Kansas shooting. During his press conference Monday, White House Press Secretary Sean Spicer called reports of the shooting "disturbing." “This was an attack not only on the victims, but on the sense of security of Indians, Indian-Americans, and millions of other people of color across the nation,” he said. Purinton's next court appearance is scheduled for March 9.